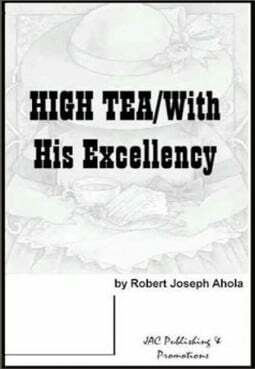 A proper English Baron stranded in a small Texas town regularly takes "high tea" with the local country club ladies, only to have their reverie interrupted by a crude but colorful oil tycoon and his naive legal counsel. This sets the two men, The Baron - Raymond Emmanuel Van Peldt - and the oil baron, Ira "Candy" Cain, on a collision course where one man's need to guard his personal privacy crashes directly into another's obsession with the truth. So, what starts out as a civilized afternoon of High Tea ends up in a drunken symposium with a group of not-so-repressed women, and a surprising evening of 'Truth or Dare."